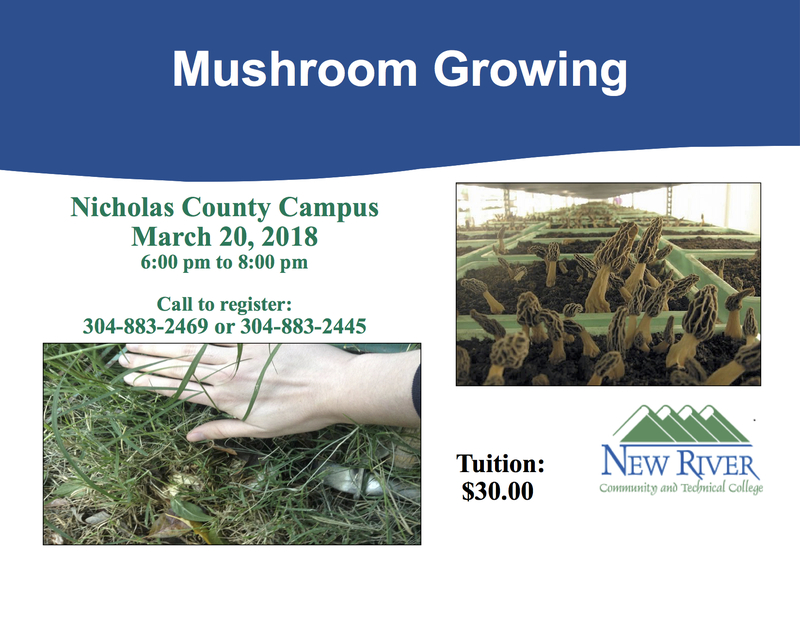 [SUMMERSVILLE, W.Va.] New River Community and Technical College is offering two mushroom classes on March 20 at the Nicholas County Campus in Summersville. 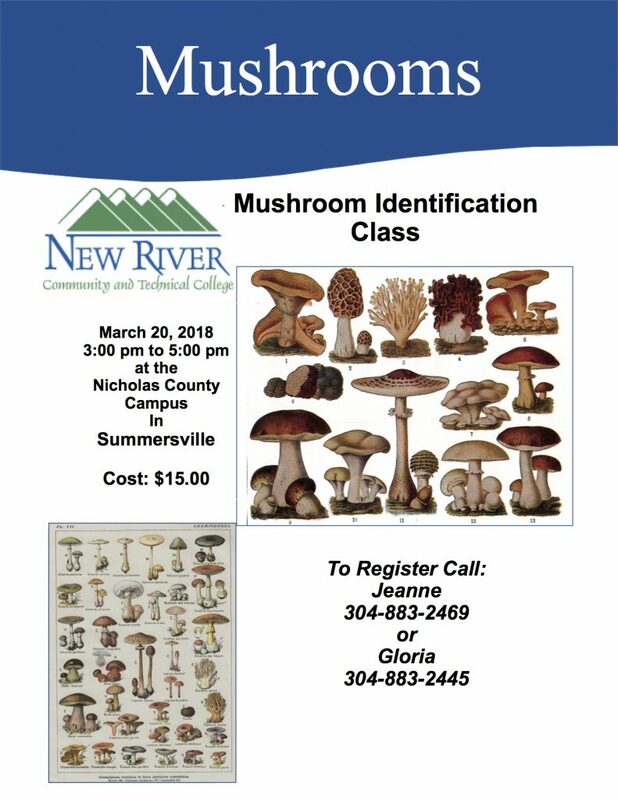 A mushroom identification class will be held from 3 to 5 p.m. followed by mushroom growing from 6 to 8 p.m.
Pre-registration for both courses is required by March 16. 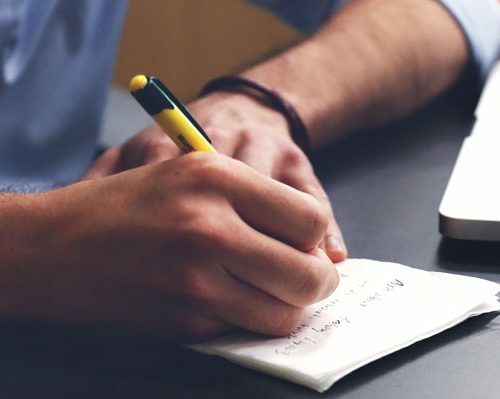 The cost is $15 for mushroom identification and $30 for mushroom growing. New River Community and Technical College serves nine counties in southeastern West Virginia from the Greenbrier Valley Campus (Lewisburg), Mercer County Campus (Princeton), Nicholas County Campus (Summersville), and Raleigh County Campus (Beaver/Beckley).